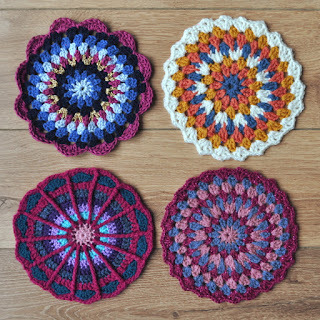 As a group we've also contributed to a few collaborative projects - these mandalas were sent out to Yarndale 2014 and it was great fun to try and spot our groups different crochet circles in amongst the hundreds of others that were up in the Skipton market hall. 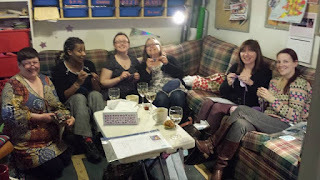 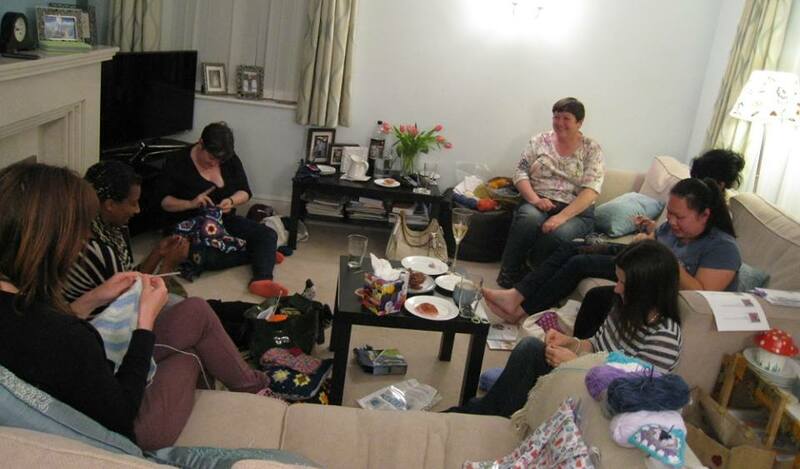 Recently my crochet group as contributed to the 'Cwtch of comfort' project that my sister Liz has been working so hard to support. 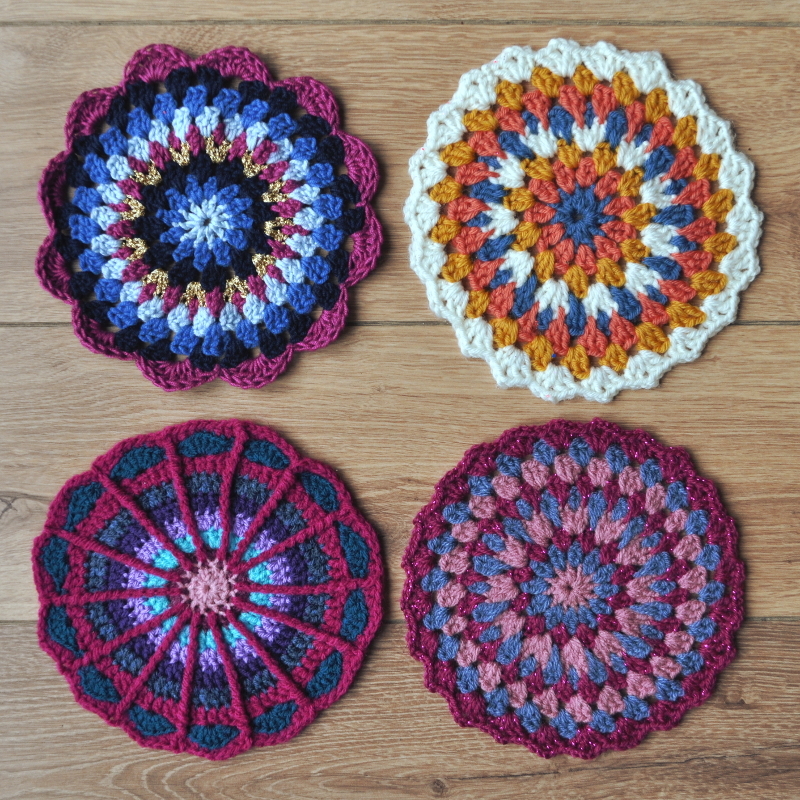 These squares meant a great deal to me as it was so nice that my new crochet friends were keen to spend their time supporting this charity with me. Here they all are again - so busy concentrating on their stitches.